Hi, hello, and Happy New Year! I know bloggers are super committed to blogging everyday right now. Maybe it was their resolution, maybe they just are excited to have a fresh start. For me, it’s a little of both. I was terrible at keeping up with my beauty blog in 2014 and I don’t want this year to be like that. If I write them all on Sundays and schedule them through the week then it should be easy to maintain. That being said, let’s look at my Christmas present from my sister! The palette has lots of different colors and four different finishes! Also if you are more visual, you can watch the first impressions and swatches video on my channel here! There are four different finishes; matte, satin, metallic, and glitter. The glitter and metallic ones will give a lot of fall out so you have to be careful with them. 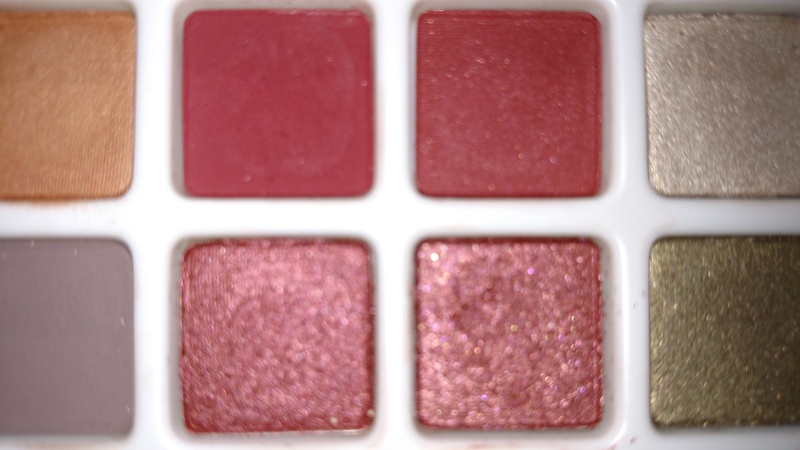 The satins are nice and most of them are really pigmented. The mattes are my favorite, I always gravitate towards matte shadows and the Marsala Matte is so pretty. The mattes are all very pigmented. I am drawn to the colors Hot Chocolate which is a rich brown and Dusty Olive which is an olive green as the name suggests. In the metallics I love Butterrum which is a really pretty gold color. There they are in the middle of the palette. These are the Marsala shadows. I love the versatility of the palette and I love that you can create so many looks with it. The Marsala Matte is definitely a color I will wear a lot this year. I think that it can be an every day color when worn correctly. I am impressed with the overall quality of the palette. Hopefully once I get through the top layer of the glitter shadows, there won’t be as much fall out. 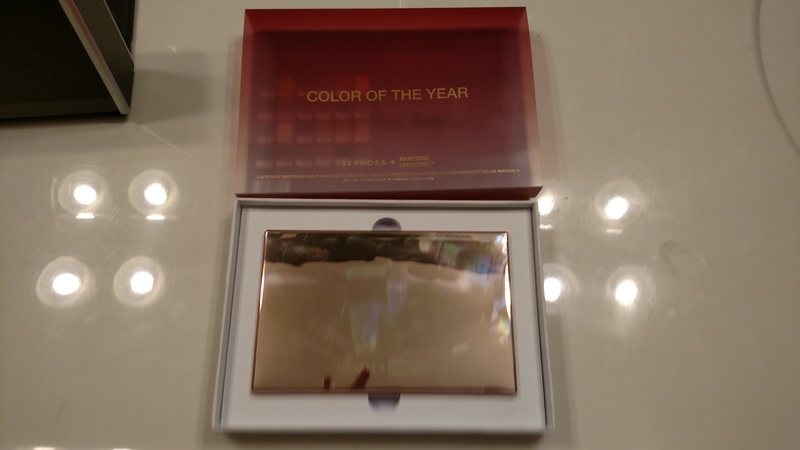 Tell me in the comments what you think about the Sephora Pantone COTY Palette and if you will be purchasing it. 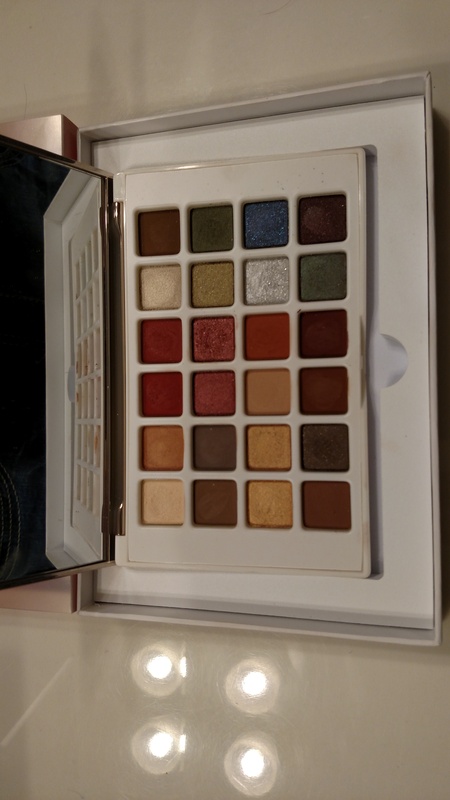 This entry was posted in Review and tagged beauty, color of the year, love, makeup, marsala, pantone, review, sephora, tutorial by bowsandnails. Bookmark the permalink.